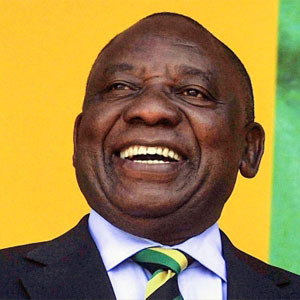 The management and staff of Cyril Ramaphosa Foundation and its partner entities, Adopt-a-School, Kagiso Shanduka Trust, Cyril Ramaphosa Education Trust and Black Umbrellas, congratulates our founder, Mr Cyril Ramaphosa, on his election as President of the Republic of South Africa. We know President Ramaphosa will show as great a commitment to addressing South Africa’s national development priorities as President, as he has the educational and SMME development and social cohesion work of the Foundation. Cyril Ramaphosa Foundation joins with all sectors and stakeholder representatives of society to work together and contribute to the goals of our shared National Development Plan to eliminate poverty, reduce inequality and build an inclusive South Africa. We wish President Ramaphosa every success and pledge our full support to his endeavours towards fulfilling South Africa’s promise. Over the past 13 years Cyril Ramaphosa Foundation has had a remarkable impact on the people and communities in which it works. Through dedication, collaboration and a commitment to creating positive change, Cyril Ramaphosa Foundation continues to build on its previous achievements to create a cohesive and empowered society.